#KFRPod 37 has dropped like gallons of blood on the WMC-TV studio floor! 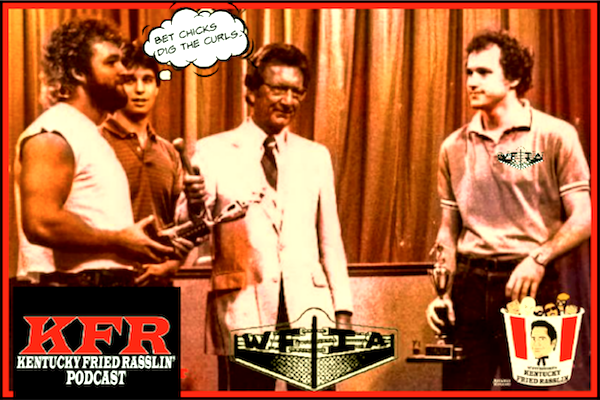 Host Scott Bowden talks with Howard Baum about his involvement in one of the most infamous angles ever in Memphis wrestling history with fellow WFIA member Pete Lederberg as they present the WFIA’s tag-team of the year award to the new-and-less-improved Fabulous Ones, Tommy Rich and Eddie Gilbert in August 1984. Howard also shares his memories of Lance Russell and Jerry Lawler, in particular the King’s reaction to seeing the Wrestling Observer newsletter for the first time as well as the Memphis Monarch’s run in the Sunshine State. Plus Baum discusses his early fandom in Florida and how he regrettably JUST missed out on seeing Terry Funk defeat Jack Brisco for the NWA World title in Miami Beach, and much more in this two-hour hilarious episode. 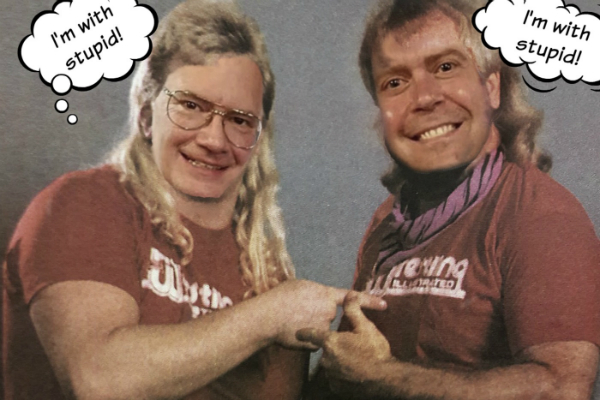 Out of the kindness of his heart, the legendary Louisville Slugger himself, Jim Cornette, drops by the KFR podcast after everyone from Randy Hales to Reggie B. Fine disrespectfully declines to appear. The manager of such good Christian athletes as the Midnight Express and Mantaur, Corny joins Scott Bowden and The Great Brian Last™ for a lively 90-minute Broadway, discussing such extra-crispy topics as his favorite wrestler as a kid, a ’75 showdown with heels Jerry Lawler & Lou Thesz vs Ricky Gibson & Jerry Jarrett w/Jackie Fargo at the Louisville Gardens, and the young photographer’s first assignment at the Mid-South Coliseum alongside another budding photojournalist named Eddie Gilbert. The two former Memphis managers also share their conflicting memories of the night the WFIA (Wrestling Fans International Association) witnessed the Fabulous Freebirds spread their wings and fly to the ring as their Skynyrd anthem played over the PA for the very first time in the House that Lawler Built. With the Louisville Lip onboard, it doesn’t get any juicier than this, so be there right alongside for another BIG day of Kentucky Fried Rasslin’!